Vicki has lived in the Eltham area since 1973. Vicki was elected the Member for Eltham on November 2014, she was appointed the Parliamentary Secretary for Industry and Employment in November 2016. Prior to entering politics Vicki had worked as an adviser to Jenny Macklin MP, a tutor at RMIT university and had ran her own business. Vicki is passionate about ensuring high quality services in the Eltham electorate including public transport, roads, schools and hospitals. Ms WARD (Eltham) — This bill is about grief. It is about suffering, and it is about the recognition of the erosion of self that a terminal illness can bring. This bill exposes our grief and our sorrow at the loss of those we love. It exposes our heart. No matter on which side of this debate you fall you are debating here with your heart as well as with your head, because on this bill we vote according to our conscience. Ms WARD (Eltham) — I know that, like me, TAFE is pretty important to you, Speaker, especially considering that we have an excellent TAFE right on our doorsteps in our electorates. It is amazing to me that we have just had the person from the opposition who purports to be defending TAFE say that she does not support TAFE courses being free. She does not support opportunity. This is exactly the problem that those opposite have got: they are the party that denies opportunity, they are the party that does not want to create opportunity, and they are the party that do nothing and can do nothing. Ms WARD (Eltham) — The adjournment matter I raise is for the Minister for Public Transport, and the action I seek is for the minister to come to my electorate and see firsthand all the terrific public transport infrastructure that is currently underway, completed or about to happen. Ms WARD (Eltham) — I rise with great happiness to support this bill today, because it is incredibly important. I have to say, though, that along with other Labor members in this house I am disappointed that the coalition has only managed one speaker each to talk about something that is so important and to show its support for the tremendous work that our nurses and midwives do in our community. The fact that members opposite spent so much time in the house yesterday and today ranting and raving about Grand Final Friday and yet have not had the energy to be present in the chamber to talk about their support for our nurses and midwives should make them deeply ashamed. Ms WARD (Eltham) — I rise to speak on the Family Violence Reform Implementation Monitor Bill 2016. Before I get started I would like to support the member for Evelyn in not opposing this bill. I thank her for that and thank her also for her long history of supporting policies to address the issue of family violence in this place. However, I do want to comment on her notation that we are too occupied with ideology in this place and on this side of the house. We are absolutely occupied with ideology; our ideology of fairness and our ideology of not leaving people behind. This is a fundamental platform of what the Australian Labor Party stands for and what the Victorian branch of that party stands for. We do want to create a fairer Victoria, which is what this bill goes another step to address. Ms WARD (Eltham) — Acting Speaker Carbines, it is good to see you in the chair this morning because the first thing that I will be talking about regarding the budget will be the fantastic announcement that helps both your electorate and mine, which is the north-east link. 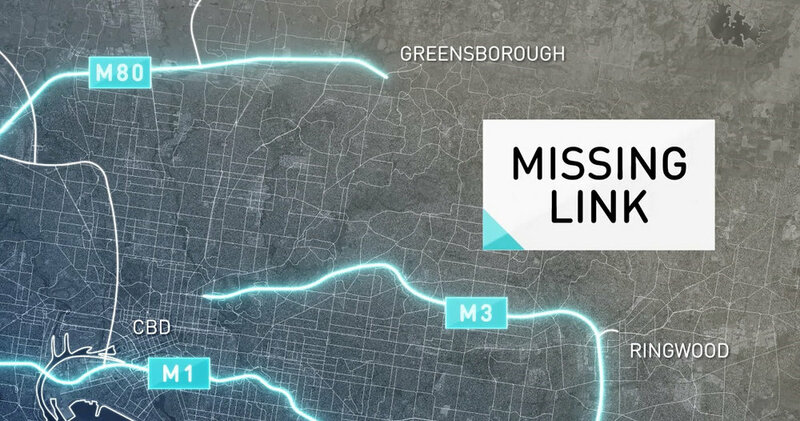 There is $110 million in the budget to fast-track the planning process for the north-east link so that we can go through and get all of the environmental surveys and other studies done so that as soon as we do get re-elected in November we can get started on this incredibly important project. It is incredibly important, this project, which will link communities across Melbourne, this project that will help trucks going from Gippsland all the way up into the northern reaches of the state. There are a lot of things that will benefit from the north-east link.